I am a huge hummus fan! 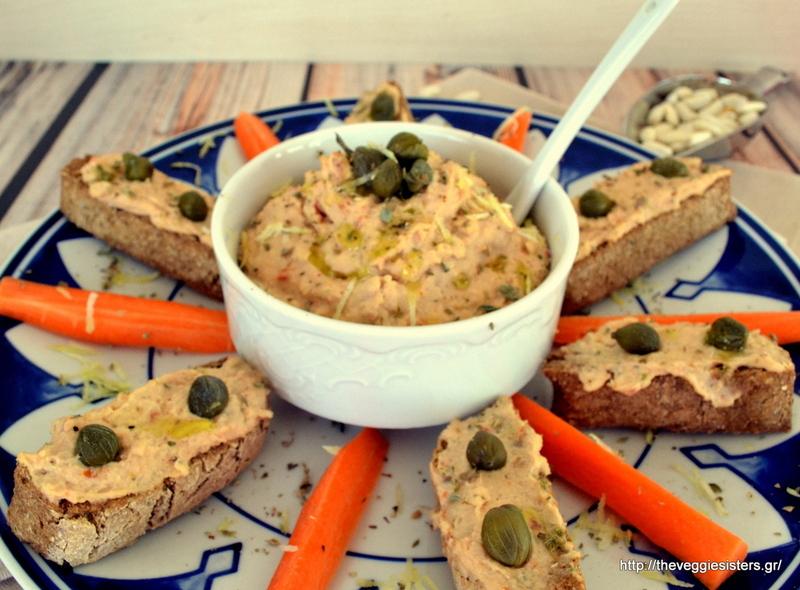 I love this delicious spread made of chickpeas, lemon, garlic and tahini. It is a such a nice way to enjoy legumes! This time I decided to make a new version of hummus. I used white beans (from Yoleni’s they are the most tasteful beans I have ever tried and they are cooked really quickly!) and paired them with semi sundried tomatoes, capers, oregano for a more meditearranean flavor. The result was amazing. 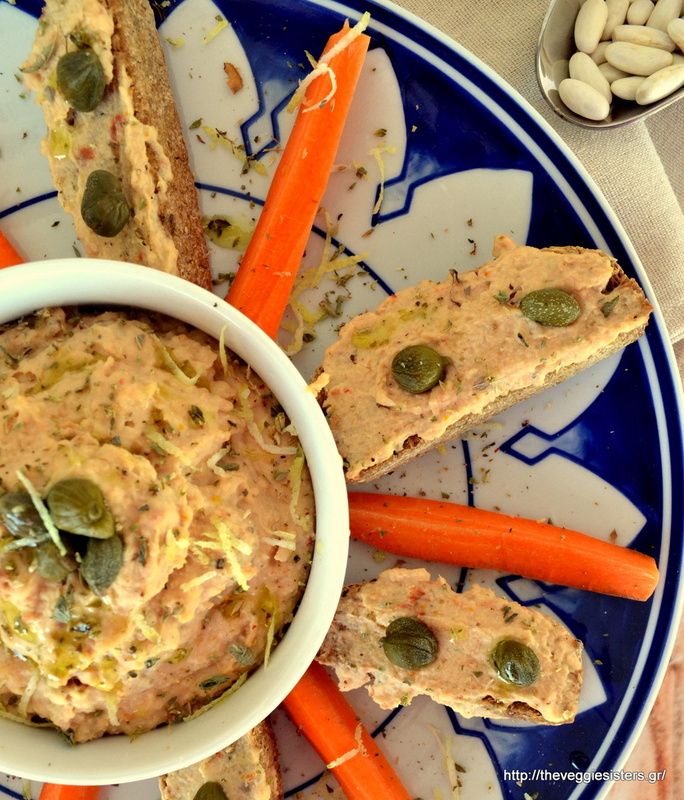 We enjoyed this healthy spread with rusks, bread and grissini. You should definitely try it! Take care, my dear friends! In a food processor pulse all ingredients until smooth. If the texture is thick for you, then add some more water. Serve in a bowl. Top with caper, lemon zest, oregano. It is perfect spread on rusks or bread. Enjoy! 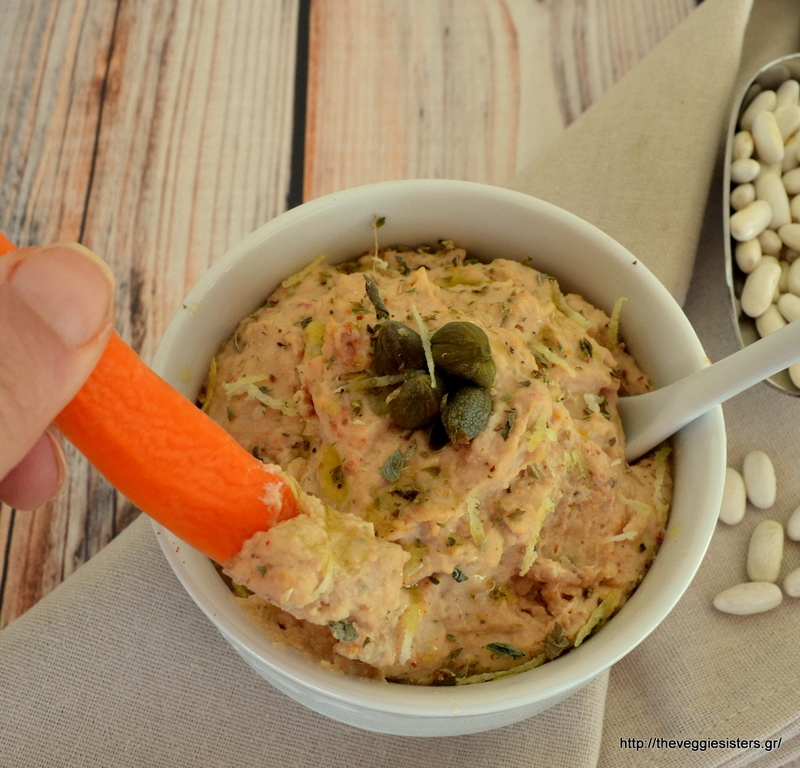 Share the post "Bean sun-dried tomato hummus"